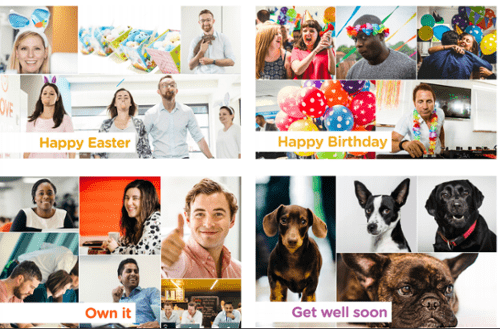 The secret to building an amazing culture of employee recognition can start with a simple "Thank You"
Last year, our clients sent over 215,000 eCards to recognise their colleagues. Even at Reward Gateway, we send hundreds every month. Simply put: We love eCards. And, they're easy to produce. eCards are a quick and easy way to start building a culture of continuous recognition at your organisation which everyone can take part in. Employee recognition is an important piece of building better employee engagement at organisations of all sizes. 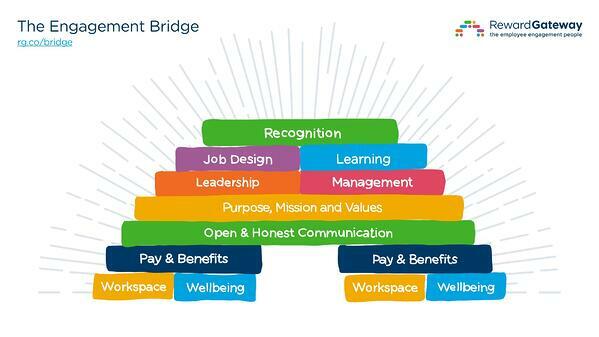 So important, it’s the top element of our 10-step employee engagement model – The Engagement Bridge™. What eCards are and how they fit into building a culture of continuous recognition. Why peer-to-peer recognition is so important for your team. Real-life examples of how organisations use eCards to boost values, drive productivity and more.